I put a lot of mileage on my feet watching compelling dancers move through a fantastically large multi-environment show. I followed all three rules and Lady MacBeth kissed my beak. Rule number one: wear this mask. Rule number two: shut the hell up. Rule number three: when a performer or one of the black-masked people indicate you should move out of the way, DO IT. So I'm watching the red-haired Lady M eat a strawberry. She's clearly a bit bonkers. What we nowadays call a "hot mess". She headed toward the door. A girl stood in front of her. Lady M waved at the girl to schooch over. Girl didn't. Lady M grabbed the girl by the hips and moved her out of the way. So I'm being all good and standing by a pillar and Lady M just stops when she gets parallel with me. She turns, puts her hands around my neck and around my shoulder. What am I supposed to do? Well, take my hands out of my pockets I suppose. So I put my hands flat against my legs. Then I realize that's a strip-club rule. Does it apply here? I don't know. Lady Macbeth looks longingly into my eyes and goes in for a kiss. How is this going to work? Oh right -- the mask. 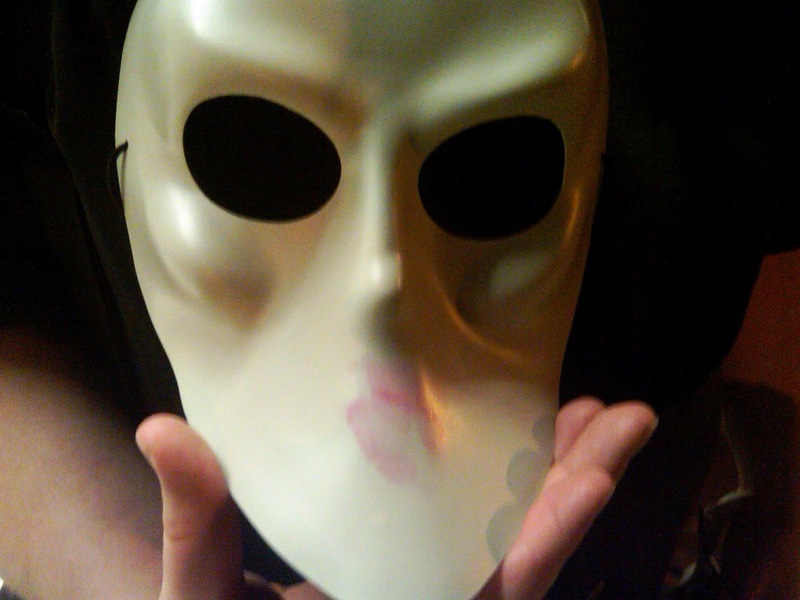 She kisses the plastic beak of my mask. Lady M's lipstick on my beak. The choreography of the banquet where Banquo shows up is the most amazing piece of choreography I've ever seen. She would have kissed your beak too!